These days a chain of messages is being sent through Facebook. Every day I must erase the messages of my friends who are scared by a supposed warning video of Mark ZuckeRberg and share the mail with 18 "friends". Apparently, it his Facebook account would cease to exist if the aforementioned CEO of the most popular social network in the world begins to charge for it. It is as if we, users, had to "pay" literally for their abysmal security error and having sold users’ data to Cambridge Analytics. However, the most notable thing that has happened in recent weeks is that the executive forgot to apologize to users during the meeting known as "F8", which brings together programmers, technology specialists and other employees. 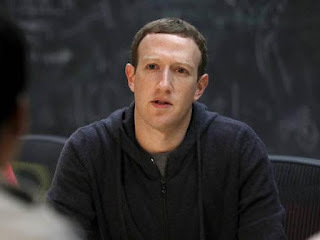 During the most important conclave of the company Mark Zuckerberg acknowledged the great advances but ignored the Cambridge Analitycs scandal and of course, refrained from apologizing to users for having used their personal data for their own benefit. However, days ago Zuckerberg formally excused himself before Congress and gave an account of how the company would protect the privacy of users after the scandal. Before the scandal happened and the then head of Security and Data Protection, Alex Stamos, had warned about the gaps that the company left due to his vision on this matter that allowed micro-segmenting millions of people’s information, being easier to use it for profit and advertising. Alex Stamos, before entering Facebook, was already recognized and respected in the computer world for his cyber security knowledge. In the last period his ideas caused discomfort by pushing towards a much more aggressive way of investigating and revealing the role that the company had in the distribution of fake news and disinformation by Russia during the 2016 US presidential campaign. But the storm has passed and again the owner of Facebook has returned to show with his best face again haranguing his programmers to create new innovations in the world of technology and programming. At the meeting held in San Jose, California, it was known that among the new strengths to "enchant" users, they will receive new applications, as well as the update of those and other old ones. Among the novelties there will be video chats for Instagram. Also, they will incorporate Watch Party, a function that will allow users to watch the same videos simultaneously. In addition, Tinder will have to put on its pants since Facebook will open a couples’ service that people usually do. 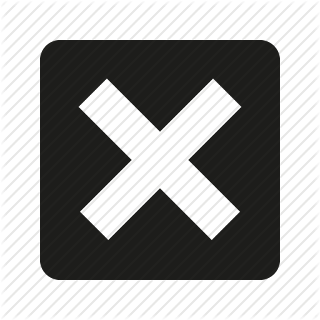 Also, users, and this goes for cyber-security, will be able to erase their traces in the network, so the company will not be able to know which are users’ favorite and most visited webpages. Will it be? Likewise, he reiterated that he will head more resources and pay more attention to the security and data protection measures of Facebook’s users, which are the company’s reason to be. He added that they will strengthen their systems so that they cannot be used to the detriment of users or to "interfere in electoral processes". So it seems Facebook did involve in the Russian scandal, or at least, the "boss" accepted the possibility. Despite Mark didn’t formally apologize, he admitted that they have tried to limit the damages after the appropriation of Cambridge Analytics data from 87 million users. On this regard the CEO of the social network said that the decision on what direction the company would take has been very difficult. Maybe hi is referring on how to charge for the service. It is possible that the chain of message is “fake news" or is really a warning from Facebook that has water up to its neck. Nobody knows yet the truth is that at least, they can no longer "blatantly" sell the users’ data. Among the multiple reforms of the "planet" Facebook, new privacy and security policies were announced and where the moderators would direct their work to avoid the inappropriate use of the network by certain users. Among the transformations that the company has been forced to there is, besides the limiting the visible information of the programmers, the prohibition of the use of certain applications that collect data from users that are themselves a violation to privacy. However, I am personally worried about the message chain that my friends share almost daily about inactivating my account of not sharing it. True or not, I would have loved that after the Google Analitycs’ scandal Mark would have shared a video or audio message formally apologizing to us, his users and sources of income. After all, we are the ones who maintain his life as a millionaire.